There are only 2 ingredients in this recipe. It doesn’t get much easier than that! 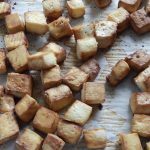 I make baked tofu all the time and we add it into lots meals. It is great to make a big batch, so you can eat it throughout the week. It does take a little bit of time to press the tofu and bake it, but it is so worth it. Once it is pressed and cut it just get tossed with some soy sauce, which gives it a great savory flavor. This method will work with almost any marinade you like on your tofu. Just use the marinade sparingly because you don’t want it to be really wet before baking. I usually just use the soy so I can toss it into whatever I am making that week. 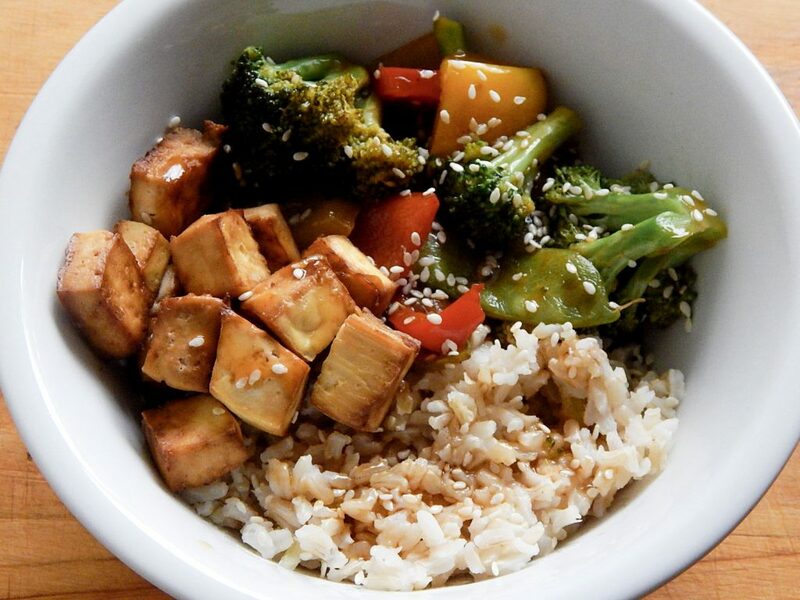 One of my favorite ways to use baked tofu is with vegetable stir fry. Drain the tofu and place it between 2 clean towels. Set a heavy pot on top of it and let it sit for at least 30 minutes. Once the tofu is pressed preheat the oven to 375 degrees. 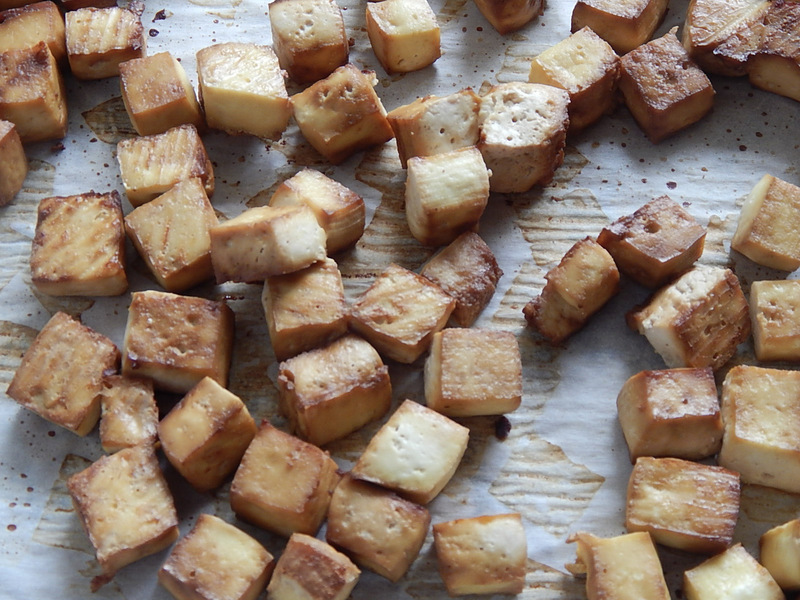 Cut the tofu into half inch cubes. 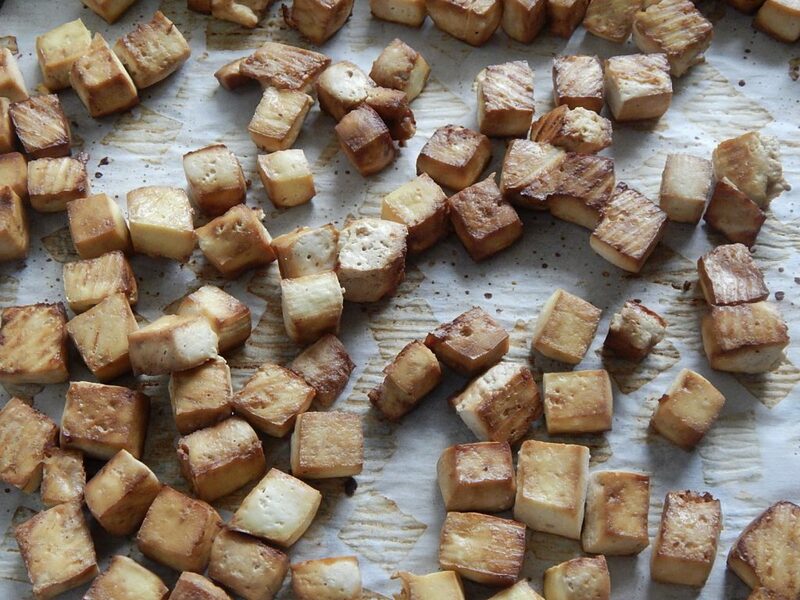 Toss the cubes with the soy sauce and let it absorb for a few minutes. Line a large baking sheet pan with parchment or rub it with a little olive oil. Spread the tofu cubes in a single layer on the pan. 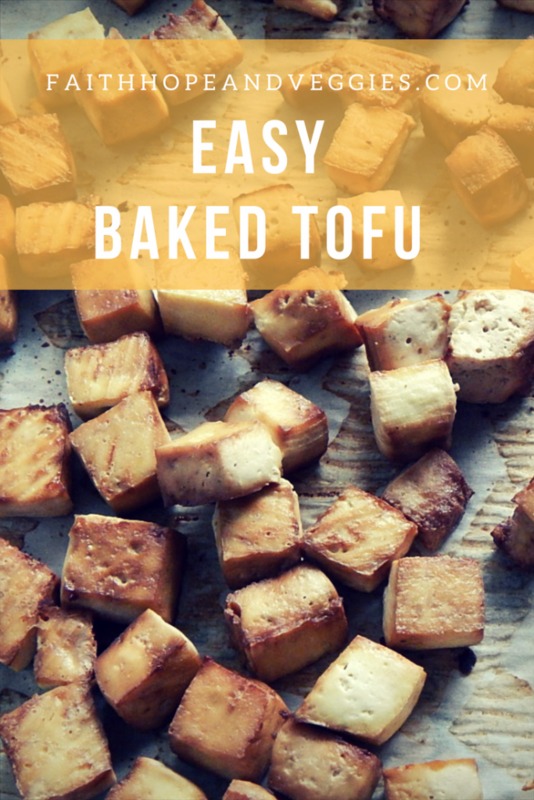 Bake the tofu for 45-60 minutes until the outside is brown and crispy. Toss the tofu about halfway through cooking.